A pawn shop is a store that offers loans in exchange for personal property as equivalent collateral. The loan must be paid within the contractually agreed time frame in order to repurchase the collateral. If the loan cannot be repaid, the pawnbroker reserves the right to offer the item for sale to other customers. In this way, pawn shops acts as both a money lending business and retail business. If you are an entrepreneur willing to take on the task of opening this versatile business, you have come to the right place. See our simple how-to guide below to find out how you can open a pawn shop without having to apply for a business credit card. 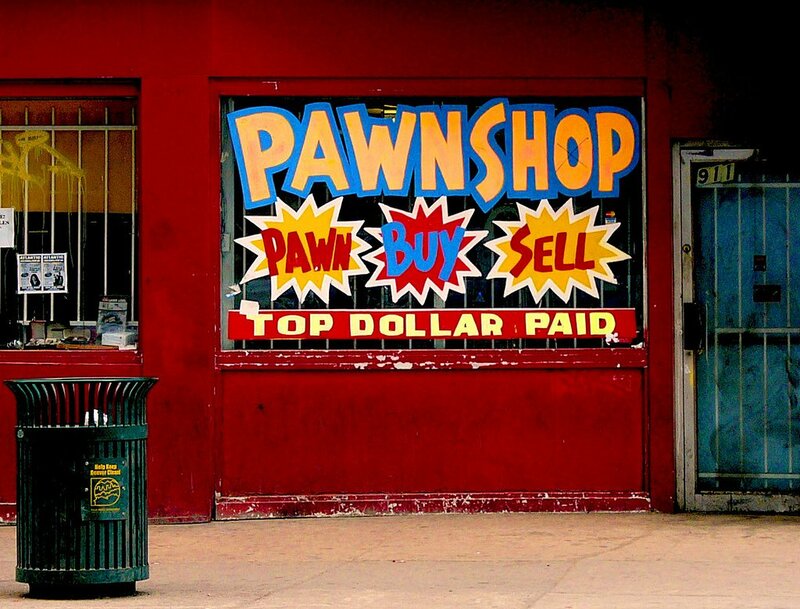 Opening a pawn shop is unique to many other retail outlets because pawnbrokers are responsible for pricing collateral brought in by loan-seekers. Accepting something for too low or high a price can cause you to lose money at the end of the transaction. The best way to avoid this is by training your eye and studying the value of popular pawn-shop items. Become familiar with the appropriate pricing of various goods so that you can ensure your business does well. This will also help you identify the products that may act as a cash crate for your business, which is never a bad thing. Once you have honed your pawnbroker skills, the next step to opening a pawn shop is to draw up a business plan. This is where you will determine how the business will operate and how much start-up capital you need. When you have an idea of the necessary start-up capital, you can begin to seek business loans or investors to help pay for the expenses. It is important to make sure that your pawn shop adheres to all laws and guidelines set forth by your federal, state and local government, just as you would if you were performing a sale lease back. Apply for your pawn shop license and get the necessary permits if you plan on selling weapons or other restricted goods. Additionally, this is a good time to find a lawyer to help you write up a loan contract for when your first customers come in. When legal matters have all been settled, you can finally seek out a location for your pawn shop. Find something in a well populated area so that you can draw in lots of customers. Location is an important factor in any business’s success, so you want to choose wisely. Also try to make sure that the building is secure so that you can trust your many valuables will be safe when you lock up at night. You definitely want to get to know the competition in your area. You may even choose to do this before you pick a location, to minimalize business competitionand avoid a need for relocating. Either way, it is important to know what your competition is offering. Pawn shops tend to be frequented by repeat customers. That means it will be harder to break into a market that is already occupied by a popular neighborhood pawn shop. However, this also presents an opportunity to offer customers what the other pawn shops in the area lack. Get to know the competition in the area. Then, use this knowledge to offer services that they are lacking to customers in the area. The final step to opening a pawn shop is to furnish your location and collect inventory for customers. Your pawn shop will require a locked display case as well as appropriate shelves and a front end point-of-sale system. Additionally, you will have to acquire inventory from flea markets, antique shops and other places so that you have goods other than collateral. You may also wish to consider listing your new business in the Yahoo business directory to get some preliminary customers in. Once you have all of this in place, your shop is ready to open! Opening a pawn shop can be a great business venture for the right person. If you are an entrepreneur who would like to open a pawn shop, follow the tips above. Remember to use robo calling or other marketing strategies to get the word out about your new business. By creating a business plan and finding a good location you can ensure that you pawn shop succeeds.